Malibu Unites is a coalition of concerned parents, teachers, community members, scientists, experts, public figures and environmental groups from across the U.S. Their goal? Get toxins out of local Malibu schools. The group was born back in October of 2013, when twenty-one Malibu Middle and High School teachers sent a letter to the Santa Monica-Malibu Unified School District (SMMUSD) stating that their health had been adversely affected due to working on the Malibu High School (MHS) campus. According to the letter, three local teachers were diagnosed with thyroid cancer within a six-month period, while other teachers were experiencing harsh physical symptoms that may be linked to toxins, such as migraines, hair loss, respiratory problems, and rashes. According to Malibu Unites, in the years before the group formed, soil on the MHS campus tested positive for nine toxins, including PCBs, lead, DDT, Chlordane and additional pesticides known to be carcinogenic, plus in the summer of 2011, more than 1,000 cubic yards of toxic soil was removed from the center of the campus. After learning about the toxins at MHS, teachers from the school and Juan Cabrillo Elementary (JC) asked to have their classrooms and soil tested for toxins, but getting those tests completed has been an uphill battle, which is where Malibu Unites comes in. Malibu Unites’ main goal is to remove dangerous toxins from local schools so that children and teachers have a safe haven in which to learn and to teach. Locally the group is focused on campus-wide testing of soil and classrooms at MHS and JC that includes independent oversight of said testing, increased transparency and full disclosure about toxins on school campuses and successful representation for Malibu within SMMUSD. Malibu Unites has loftier national goals as well, including authoring and advocating for a Parent Right to Know Law; advocating for Environmental Protection Agency (EPA) and other government agency policy changes that support toxin-free schools; and uniting resources that can help assist other schools throughout the county when it comes to school contaminant issues. Though Malibu Unites begin locally, they’re clearly moving in a national direction, which means anyone can join up with their group and help make a difference in schools across America. As a parent, be aware that schools in America are more toxic and unhealthy than ever thanks to school budget cuts, older school buildings and a general apathy regarding the danger of school toxins in the USA. As a parent you CAN advocate for safer, less toxic schools, but that means taking action just like the community of Malibu has done with Malibu Unites. To ensure that your child’s school is as healthy as possible check out the link below and join up with Malibu Unites on Facebook to learn more about this inspirational group. Malibu Unites is a coalition of concerned parents, teachers, community members, scientists, experts, public figures and environmental groups from across the U.S. Their goal? Get toxins out of local Malibu schools. The group was born back in October of 2013, when twenty-one Malibu Middle and High School teachers sent a letter to the Santa Monica-Malibu Unified School District (SMMUSD) stating that their health had�been adversely affected due to working on the Malibu High School (MHS) campus. According to the letter, three local teachers were diagnosed with thyroid cancer within a six-month period, while other teachers were experiencing harsh physical symptoms that may be linked to toxins, such as migraines, hair loss, respiratory problems, and rashes. 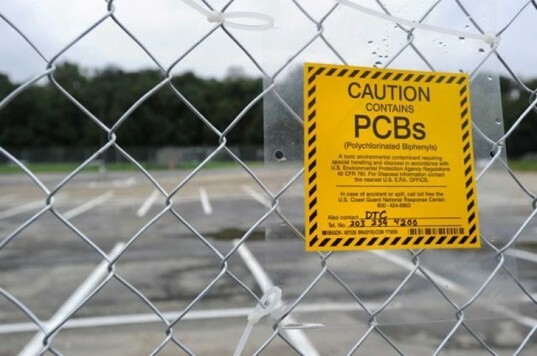 According to Malibu Unites, in the years before the group�formed, soil on the MHS�campus tested positive for nine toxins, including PCBs, lead, DDT, Chlordane and additional pesticides known to be carcinogenic, plus in the summer of 2011, more than 1,000 cubic yards of toxic soil was removed from the center of the campus. After learning about the toxins at MHS, teachers from the school and Juan Cabrillo Elementary (JC) asked to have their classrooms and soil tested for toxins, but getting those tests completed has�been an uphill battle, which is where Malibu Unites comes in.